Annette Beagle started with us October 21st 2015 — Born and raised in Woodford County, she graduated from Woodford County High School in 1986. 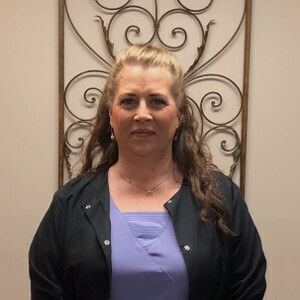 Prior to joining Wood Chiropractic Center, Annette worked in Cardiology for 16 years. Annette has three grown children Daniel, Leslie, and Joey, who have blessed her with five wonderful grandchildren. She currently lives in Versailles with her fiance Danny Berger. They’re both big UK basketball fans, and enjoy being outdoors and spending time with family and friends. She looks forward to a long and exciting career at Wood Chiropractic Center, and can’t wait to get to know all of our patients! Lisa Darby joined the office on August 1st of 2016 – She was raised in Ashland, KY, Graduated from Boyd Co. High School in 1986. She has worked in management for over 20 years. Lisa has 3 grown children and is very blessed to have 2 grandchildren and one on the way! She lives here in Versailles and looks forward to time with family and spending time outdoors. She looks forward to getting to know our wonderful patients and helping them with their needs. 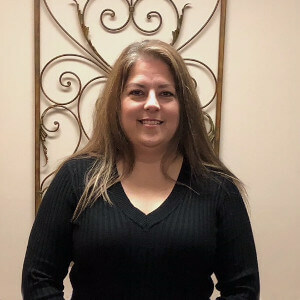 Carla joined the Wood Chiropractic Team in November of 2017. She graduated from Woodford County High School and worked for the Woodford County Board of Education for 15 years. Carla has 2 grown children, Kaitlin and Jaylen, and three amazing grandbabies. 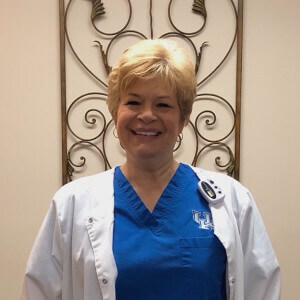 She enjoys spending as much time as possible with her grandchildren as well as UK basketball and football, the outdoors, trying new restaurants and playing with her four legged baby, Lucy Lu.